We finally get to replace the old holding page. Thanks to 116 Facebook likes of people that really did believe ‘coming soon’ is actually coming! 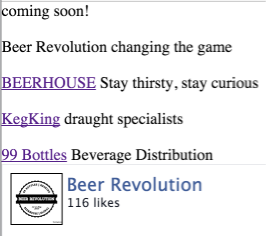 And yes – this new layout is the current theme of BEERHOUSE.co.za, but that site itself will soon (hrhrhr…) be relaunched.